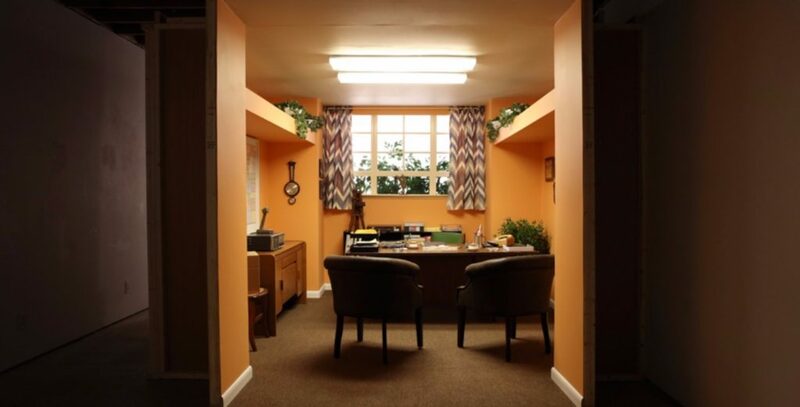 A near exact recreation of the office set from the Overlook Hotel in the 1980 film, The Shining is the centerpiece of George Jenne’s third solo show at LUMP. You’ve Reached the Office of Stuart Ullman measures the veracity of cinephilia by taking verisimilitude to its threshold. The show will open with the fully realized office on display, empty of its necessary characters. Opposite the installation, there will be a two channel video that portrays a fan of the movie as he discomfortingly mouths the words of a notorious scene while the movie plays offscreen.